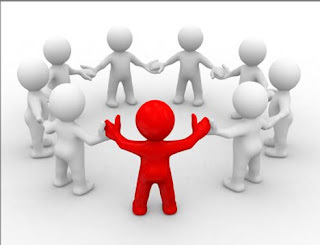 What can a PLN do for you? I’d first like to acknowledge UPS for this great slogan. Secondly, I would like to express my humble thanks to my personal learning network. Last Monday I lost my job due to budget constraints at my former charter school. It was both shocking and humbling. I was going into this school year with more enthusiasm than I can remember. I was going to teach AP English Language and Composition for the first time in my career and had assembled a stellar group of students that were working hard over the summer within the summer reading network I created. I was also assuming the duties of instructional technology coordinator for the school. This position was several years in the making and really came to fruition as a result of my experience working with Joyce Valenza, Ken Rodoff, and developing a blog and a presence on twitter. All of these components, plus the evolution of #edchat and so many great people in my PLN, provided me with the tools and know-how essential to integrating technology into a curriculum in a positive way. And in the matter of a twelve minute conversation it was gone. I struggled with breaking the news to anyone on the eve of the conference I was organizing, ntcamp, and wanted to enjoy that event as much as possible. Two days ago I wrote about my situation and put it out there to the world. The results were truly amazing and demonstrated the power and support of a personal learning network. In the span of one day I received so many kind comments on my blog and via twitter. I also received job offers, and leads to positions. Just this morning I spoke with a principal who is on twitter. We discussed the possibility of me working for his district. This is the power of social media. This is the power of the Personal Learning Network. We no longer live in a static, closed off society. Many think that engaging in social networks will cut you off from society and some just simply like it the “old fashioned way”. And that is fine, but to dispel the myths and connotations that social media is cutting oneself off from society is just simply ignorant. 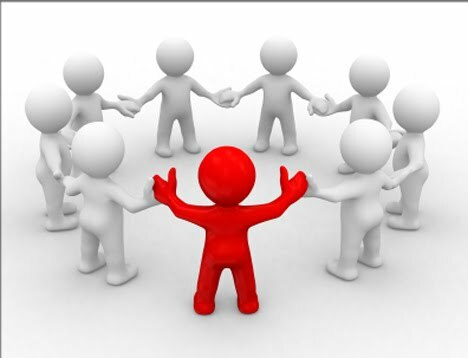 Social networks are positive environments that promote and provoking thinking about a plethora of subjects. In education, I have found more substantive professional development than I have ever received at any district or school that I have been a part of. I look forward to the day when we can receive credit, as educators, for participating in various twitter chats and forums. However, I know my students have greatly benefited first hand from my presence on social networks. I have learned about great resources and websites that I can immediately implement into my classroom or can simply ask for an interesting writing prompt from my PLN. Our students drive social media and networks. They are a product of this generation just as much as some of us were a part of the radio generation, the TV generation, and the MTV generation. 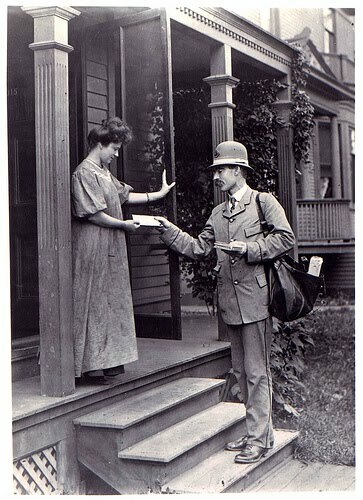 At one time even the post office was a new concept that connected people and took time, social networks are no different. I really hope the myths and taboos can be removed from social networking and we can start to value the positive merits it offers. I can honestly say that I have gained so much from my PLN and will continue to grow and evolve with this medium until the next generation comes about. NOTE: The following post will be cross referenced with a future post at Edutopia. This summer I created a summer reading network that allowed me to monitor the progress of my AP English Language students. They are reading 1 Dead in Attic by Chris Rose and I have asked them to read and annotate the text very closely. I also wanted to monitor their progress by questioning them throughout the summer at varying intervals and compose a response journal. This is all standard, but how could I provide oversight and seamless communication with my students who are scattered around Philadelphia, the Jersey Shore, and Senegal? I first created a wikispace for our summer reading assignments and communication. This forum has always worked well for me and allows for transparency and ease of use. Plus, students can take ownership over the site and can make the site theirs. The wikispace is also a great starting point for students to post external links to their blogs. Once the wikispace was up and running I introduced all of my AP students to the website after school. I spent 30 minutes covering the basics of a wikispace - edits, posting, linking, etc. - and also showed them how I could see every edit they made. Yes, big brother will always be watching. Any time you use a wikispace, stress the history tool and how you can see everything that is edited. After I set up the wikispace, I had the students create a blogger account and give it a title. Their title could be anything they wanted as long as it was appropriate. Once they had their blog created they copied the link to our blog roll on the wikispace and created an external link on their name. I embedded a Google Calendar on the wikispace and would post new assignments via our calendar and post handouts using attached Google Documents. All of my students carry cell phones and probably check them more than my parents check the weather. I can easily type up a mass text message to my students via Google Voice and remind them to look for assignments and also any updates I have to convey. This allows for ease of communication and I can always be reached if they have a question. For those who like to be left alone in the summer, you may just want to stick to email communication or pigeons. My students are reading weekly and responding to the assignments on their blogs. We are in constant communication via Google Voice and they check the Google Calendar embedded on the wikispace every Monday for assignments. They have are genuinely interested in reading each others blogs weekly and commenting on what their peers are writing. And remember, this is all happening during the summer months. My students are basically learning year round, only the classroom structure is missing. I feel confident and excited coming into the beginning of the school year knowing that my students were engaged readers and writers all summer. This type of assignment can easily be incorporated during the school year and it may be something you want to set up and have ready for the beginning of the school year. The setup is the most work for the teacher, but once you have the elements mentioned in the above process set up you can easily manage your class room in the summer and during the school months. This is the way I like to set up my classroom. You may want to explore other platforms for classroom social networking such as moodle, edmodo, schoology, facebook, etc. However, the wikispace has always been a platform that allows for seamless student participation and classroom transparency. Please provide comments if you have tried this type of assignment. I am interested to hear positive and negative feedback concerning your experience with building a classroom social network. Maybe you used twitter in conjunction or one of the aforementioned platforms for housing your student work. If you would like more information on this assignment and future assignments, please feel free to contact me. 3. What open source or Web 2.0 programs are you currently using or have used in the past? 4. How often do you use your smart board per week beyond projecting notes on to the board? 5. Beyond projecting your desktop screen and PowerPoints, how have you used your Smart board this year? 6. Are you familiar with using Google Docs? If yes, describe what you know or ways in which you have used Google Docs in the classroom. 9. How would you use an instructional technology specialist in your classroom? Planning? I received a variety of responses from my colleagues and was able to gauge what kind of professional development to implement this summer. Below is a list of items that I will be covering with my faculty this summer and into the fall. I figure I would start with a tool that most teachers are familiar with and is rather easy to grasp and integrate. I hope to focus on the magic, yes the magic, of google forms and how they can be used to collect data, discussion prompts, and warm up sets. The other great feature of Google Docs that I will be presenting will be shared folders. We currently have a server at our school that houses all of our data but can be a pain when collaborating on a document. I plan on showing teachers how they can share folders via Google Docs within their departments and in their classrooms. Many of my colleagues listed podcasts as something they wanted to learn about and immediately integrate into their curriculum. I have used podcasts before as public service announcements for vocabulary words, learning foreign language vocabulary, and phrases. There are so many possibilities when incorporating podcasts into the classroom and it creates a working functioning working environment when done correctly. Every student is part of the process and they are working towards producing something that they will deliver and present to the class or possibly publish on the web. The task is student driven and everyone is an active participant in the process. In short, students create their own product for learning that they can use themselves and pass on, present, and teach to younger students. Podcasts are simple and easy to integrate. Kids love them and the output is media that they can use on any device that has the ability to sync with a computer and play audio files. Not to mention this media becomes sustainable and easily modeled and incorporated for future teachers of this particular class and students that take this course. I hope I can get all of my faculty blogging on a consistent basis. I really feel this is a great way to reflect on your own practice and learn from others within your school. Some of my students already have their own blogs that they have been writing for years. They understand the power of the digital world and it’s importance in their education. My goal is to get all of my colleagues blogging and writing about their classroom. Their focus does not have to be technology focused, but simply a way to reflect and share on best practices used from year to year. There are numerous ways students and teachers can use blogs for learning purpose. I could begin listing, but would most likely run out of space. In my classroom last year I introduced my 10th grade English class to wikis and blogs. One of the best outcomes of this process was that students could see the power of the written word when you give it a vast audience. They also focused on their writing, spelling, and grammar a lot more when they knew they were presenting their work to a broad audience. Blogs can also serve as discussion spring boards within a classroom and provide transparency for parents and administration who would like to look in on the classroom occasionally. These are just three of the tools I want my colleagues to explore, master, and integrate into their classrooms this year. I figure keeping it simple initially is a great way to create buy in and also give them practical tools that will save them time and create sustainable material that they can incorporate for years. I will also be presenting the same professional development sessions either once or twice a month in the evenings to Parents, Grandparents, Aunts, Uncles, Cousins, etc. that would like to join in the learning process of their students. This is another way to create buy in from home and provide lasting relevance at school. I look forward to your comments, ideas, and suggestions on this post. If you are an Instructional Technology specialist, coach, coordinator, director, etc. please leave your feedback and ways in which you incorporated technology into your curriculum.